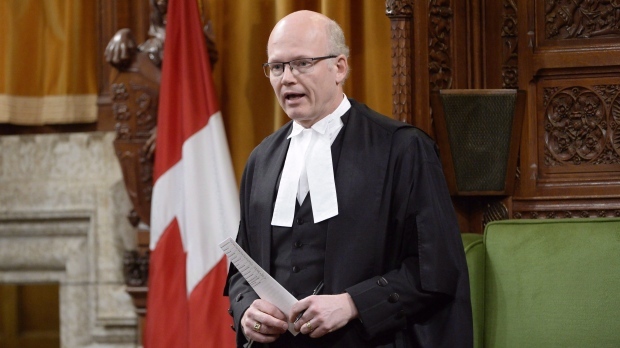 OTTAWA – House of Commons Speaker Geoff Regan has sided, in part, with the NDP's call for the divvying up of the government's latest, and largest yet, budget implementation bill. Ruling on NDP MP Peter Julian’s request to have Bill C-86 split up for the purpose of voting on it, Regan agreed that one part of the 850-page legislation regarding the Canada Labour Code did merit its own vote at second reading. Though, the part of the second installment of 2018 budget implementation legislation that Regan wants separated spans a small portion of the 850-page bill. The rest of the bill will be voted on in a block. Bill C-86 amends dozens of different laws, creates new acts on topics ranging from pay equity to expanded parental leave benefits, amends the Access to Information and Copyright Acts, and makes changes to Canada's tariff, charitable activity, and First Nations land management regimes. 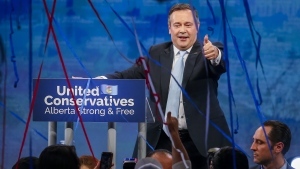 Julian called Bill C-86 "clownish" in size, and much more than an omnibus bill. In asking for the bill to be split up, Julian said that he had asked finance officials how many clauses and sub-clauses were in the bill, and nobody was able to tell him. He added that if the department is not even aware, it calls into question how MPs would have enough time to scrutinize its contents. In his ruling, Regan said the bill is the largest budget bill to date, but the House of Commons does not currently have any authority to deal with legislation based solely on its size, or rule based on that whether MPs are being given enough time to scrutinize bills. Though last year, the government amended the rules of the House of Commons to allow the speaker to split up omnibus bills for votes when there isn't a common thread through various parts of the legislation. The amended rule was meant to exclude budget bills, but this will be the second time Regan has applied this new rule to a Liberal budget bill. Regan did in part back up the government, saying that sometimes a general policy intention may spiral into detailed legislation. "A provision announced in a few sentences may require pages of legislative changes to implement," Regan said. Finance Minister Bill Morneau's office has defended the size of the bill, saying that "everything" in it reflects budget measures.